Strategic Planning Analogy #577: What do you March To? When I was in college, I heard a story about a time when Sousa had visited my college. He supposedly told the heads of the college that he thought our college fight song was one of the best marches he had ever heard. That made me feel proud. However, now that I am older, I have heard many additional stories about Sousa. 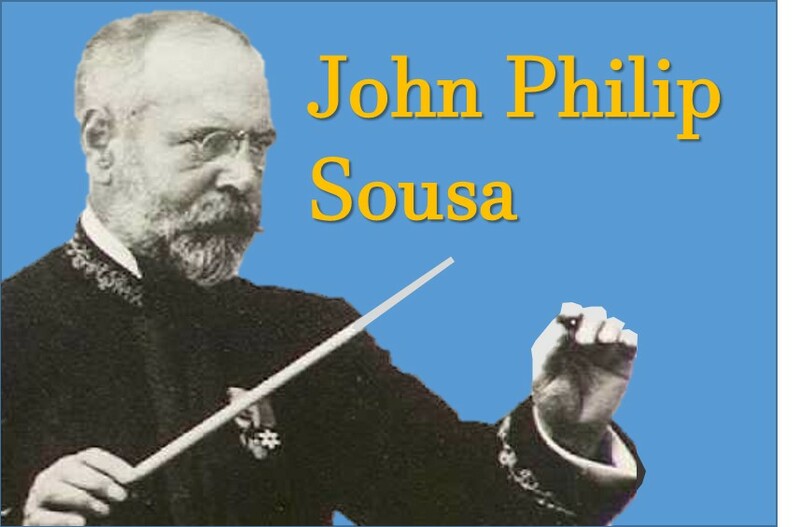 As it turns out, John Philip Sousa visited a lot of colleges over his lifetime. And each college tells a similar story about how Sousa told them that their college fight song was one of the best he had ever heard. Suddenly, Sousa’s stated opinion of my alma mater’s fight song seems a lot more meaningless. Strategists talk a lot about how companies should try to please their customer. But you hear far less about how customers often try to please the company…and this is a bad thing. Sousa is a perfect example of this phenomenon. Think of the college as being like a company and their fight song is their product. Sousa is the customer. In an attempt to try to please all of the “companies” Sousa tells them all that he loves their “product” (the fight song). So, in his attempt to please all of the “companies,” Sousa’s opinion of their “product” becomes worthless. Customers in today’s world are often giving as worthless an opinion to companies as Sousa did to colleges—all in an attempt to please (not offend) the company. This desire to be nice and no-offensive results in consumer opinions which are as worthless as Sousa’s. Many companies today use customer opinion surveys as a Key Performance indicator (KPI) to judge their strategic success. Unfortunately, there is often a Sousa-like bias in the customer to please the company and give opinions which turn out to be meaningless. KPIs with meaningless data can be very dangerous. The principle here is that even though it is important to please the customer, don’t judge your success by asking customers if they were pleased. There is too much bias in the desire of many customers to please companies, making answers to those types of questions worthless. One example which comes to mind are the quick auto oil change companies. After you get your car’s oil changed, they send out a survey to ask you if you were pleased with the service. This sounds reasonable until one digs deeper. As it turns out, many of the mechanics will tell their customers about the survey they are about to receive. Then the mechanic tells them that if they rate him with anything lower than a perfect score, the mechanic will get no credit towards his performance bonus. Many customers don’t want to keep their mechanic from getting a bonus and besides, who wants to return to a mechanic who is upset at them for giving him a low score? You want your mechanic to like you. So all of the sudden, almost all the mechanics are getting superior grades (the Sousa phenomenon—worthless information). To remedy the situation, on a recent oil change survey I saw a new question asking if the mechanic told you in advance how your ranking would affect him. I guess that was put in there to “weed out” some of the bias. Unfortunately, just putting that question in the survey creates more of that same bias. Who wants to get their mechanic in trouble for talking about the scores? One way to get around opinion bias is to stop asking people’s opinion about your product. For example, you could instead ask about preferences. Using our analogy, that would be like instead of asking Sousa about his opinion of your fight song, you would ask him to rank order the top 25 fight songs from favorite to least favorite. Sousa may still like them all, but at least now you will know which ones he likes more. Knowing customer preference (compared to numerous options) is more important than opinion about a single product, because we don’t always buy what we like, but are more likely to buy what we prefer. I might like nearly all cars, but I don’t buy nearly all cars. I am more likely to buy the car I prefer. Therefore preference among choices is a better indicator of future success than mere opinion on a single item. But even here biases can creep in to distort the results. In a desire to please the company, I might rank it higher in preference than I should. Therefore, an even better question is to ask about past behavior. For example, I could have asked Sousa how many times he listened to each of the college fight songs in the past two years. Past behavior is less prone to bias. Looking at what Sousa actually listens to is probably a better indicator of what he actually likes than asking his opinion. I would have far more confidence in a KPI measuring behavior than one that measures opinion or preference. KPIs are a key part of strategy. Choosing a KPI that gives inaccurate or distorted information can be very dangerous. KPIs based on asking customers if they like you is one such dangerous KPI. It is better to ask for preferences against competition. Better yet, just ask about past behavior. This problem is even worse if you are asking customers about new concepts or products for which they have to prior experience. As Steve Jobs of Apple used to say: “You can't just ask customers what they want and then try to give that to them. By the time you get it built, they'll want something new.” And when commenting on what kind of consumer research Apple did for the iPad, Jobs said, “None. It is not the consumers’ job to know what they want.” In other words, KPIs on future concepts should steer clear of consumer opinion even more than others. When it came to the future, Jobs marched to the tune of the future, not to the obsolete marches still in the heads of the customers. One of the best strategy articles I have seen in a long time just came out from McKinsey. The summary of the article is this. Most companies are in the middle of the pack. Nearly all the profit is made by the top quintile. Programmatic M&A. You need a steady stream of deals every year, each amounting to no more than 30 percent of your market cap but adding over ten years to at least 30 percent of your market cap. Dynamic reallocation of resources. Winning companies reallocate capital expenditures at a healthy clip, feeding the units that could produce a major move up the power curve while starving those unlikely to surge. Strong capital expenditure. You meet the bar on this lever if you are among the top 20 percent in your industry in your ratio of capital spending to sales. That typically means spending 1.7 times the industry median. Strength of productivity program. This means improving productivity at a rate sufficient to put you at least in the top 30 percent of your industry. Improvements in differentiation. You need business-model innovation and pricing advantages that result in raising your gross margin to the top 30 percent in your industry. It sounds pretty basic, but that's what makes it so powerful. Abandon the status quo, make bold moves in five areas, and the odds of improved outcome go up dramatically. You can find a copy of the article here. 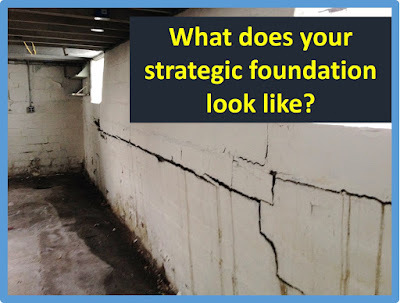 Strategic Planning Analogy #576: How Strong is Your Foundation? I think the scariest commercials on TV are sponsored by the companies that rebuild house foundations. They talk about how—if you neglect your house foundation—it will collapse and your house will be ruined. That sounds pretty scary to me. Businesses are like houses. They are built upon a foundation. The better that foundation, the stronger that business will be. Strategic planning is a tool to help build a strong foundation for your business. But let’s take this deeper. Even the process of strategic planning is built upon a foundation. If the foundation behind your strategic planning is weak, it will become a weak tool in helping to build the foundation of your business. So if you want a strong business foundation, you first need a strong foundation in your strategy process. This is the foundation behind strong strategic processes. Focus your process on adhering to this foundation and the process will be strong. Focus on anything else and you may just end up wasting your time. And then, your organization’s foundation will also falter. There are two key words in this foundation that I will focus on here: risk and control. Nothing is certain in life except death and taxes. Everything else fluctuates in complex, interdependent ways. Strategies are built to be executed in such an uncertain, interconnected world. In fact, the mere exercising of your strategy will change the environment it is being executed in. Therefore, strategies cannot be structured in such a way as to guarantee success. There are too many variables. The best you can hope for is a reduction in the risk of failure. a) What situations will have the greatest impact on my chances for success? b) What are the areas most uncertain in knowing how they will unfold? If something has both high impact and high uncertainty, then it should be a key part of your strategic discussion. After all, a high impact, uncertain situation has the greatest potential for increasing your risk of failure. Often times, these may be items that fall outside what is traditionally focused on in strategy. Yes, there is a place for mission statements, values, core competencies, goal-setting, metrics, and the like. But if you don’t spend enough time addressing the high risk issues, the other activities will not save you. You will be blindsided by a future that surprises you and you are unprepared for. That is why scenario planning and contingency planning can be such valuable strategy tools. Scenario planning can help you discover the risky areas to focus on and contingency planning can help you prepare your responses to these risks so that you can minimize any negative impact. This leads to a second aspect of risk. Because the environment is constantly changing, you cannot address all of your risks in a single, one-time strategy document. The world is dynamic, so the strategy process must be dynamic as well. Notice that I keep using the word strategy PROCESS. Strategic planning should not be seen as a single annual event, but as an ongoing process which happens whenever there are decisions to be made. If you want to increase your likelihood for success, you need a strategic approach that adapts to the changes around you and helps you make the everyday choices that reduce the risk of failure. This does not mean that your basic strategy will keep changing every day. A strategy with no lasting impact is worthless. But you may need to switch to different (well thought out in advance) contingencies as the future reveals itself. As soon as you realize that strategic planning is about minimizing risk rather than about creating a perfect plan, you will see the folly in many strategic processes that spend way too much time trying to craft “perfection.” “Direction” is more important than “Precision” when it comes to planning. If I know my desired endpoint (i.e., direction), I will know what to do when all the changes occur: adapt so that my endpoint is still in front of me. However, if I only have a detailed roadmap as my plan with clear steps on what to do (i.e., precision), my organization can quickly become lost if the future blows up one of my steps. Don’t waste time trying to create the perfect planning document. Instead, use that time to create the right general strategic framework (which minimizes my risk of failure). The second key word is “control.” Even though one cannot gain full control over the future, it is possible to increase one’s control over the future through planning. As Peter Drucker once said “The best way to predict the future is to create the future.” In other words, the more control you have over how the future is created, the less uncertainty and risk there is in the future. Therefore, one of the most important parts of good strategic planning is planning how to increase your control over how the future is created. One thing I know for sure is that if your organization is not focused on increasing control, it will lose control to someone else who is focused on increasing control (on creating a future that is detrimental to your organization). This really gets down to the issue of power. The more power you have, the more control you have. And if you have both power and control, you can create strategies with less risk of failure. Power is a relative term. To say one has power means that you have a greater ability to control the future than others who are also trying to influence how the future is created. Therefore, an analysis of power is very external in its orientation. It requires a deep understanding of all the players who can impact how the future unfolds. They may be current or future competitors, legislators, influential consumer groups, or whatever. Don’t limit your thinking here. Your task is to figure out how to maintain your current power within this environment and increase it over time. This can include topics such as size/scale, public relations, lobbying, alliances/joint ventures, the setting of international standards, control of patents, branding, acquisitions, speed to market, and so on. You need to convince the world to march to your beat and heed to your rules (the ones which give you the advantage). Are these issues/topics part of your strategic agenda? This idea of building strategies which increase control was a key point of focus in my previous blog, seen here. This is one of the key advantages of the Blue Ocean strategy. If you focus on building a strategy in a place where there aren’t any rules yet, you have a better shot of gaining control over how those rules are written. There is often a better shot at creating the future if you go to a place where there is not an entrenched competitor who already has control (provided you enter the blue ocean with power). How much of your strategic process is focused on internal issues versus trying to gain control of the eternal environment? My guess is that your process probably needs to increase the time spent on gaining external control. This foundation will lead to a greater focus on the external issues of minimizing risk and controlling power. And that has the greatest return on your strategic efforts. Some say that planning is no longer valuable because the world is changing too quickly. Well, if your strategic process is focused on the wrong foundation, that statement is true. However, if your strategic foundation is focused on minimizing risk, increasing control, and long-term destiny, then it is more important than ever. There’s an old military saying that goes something like this: In peace time, military leaders prepare for the next war as if it is going to be played by the same rules as the last war. 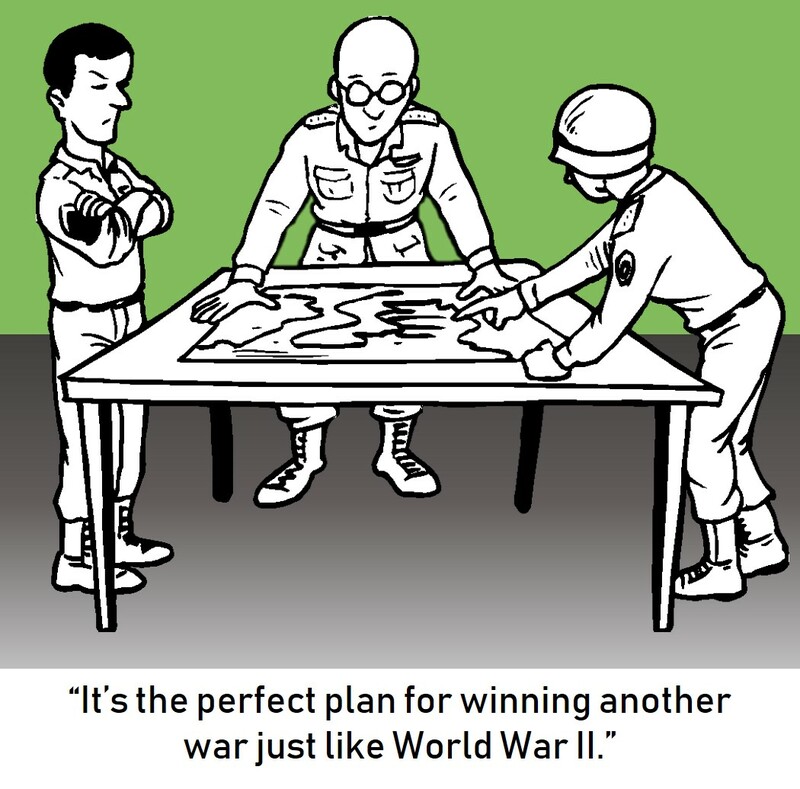 Unfortunately, each new war comes with a new set of rules, making all that planning obsolete. In other words, instead of looking backwards to figure out how you could have done better in the last war, anticipate the rules of the next war and prepare a way to win under the new rules. This recommendation does not only apply to military strategy. It also applies to business strategy. 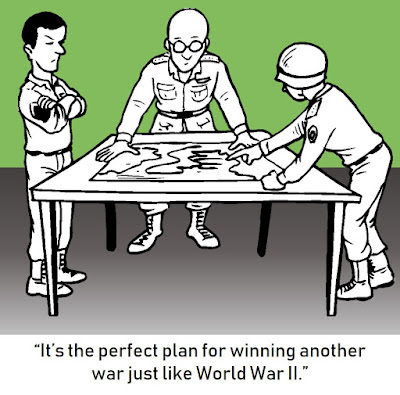 The rules of the game in business strategy keep changing, just as in warfare. The leaders in many businesses are older and got to the top by following the old rules. As a result, these leaders have a tendency to prepare for the future by falling back on those old rules which made them a success in the first place. Unfortunately, as times change, those old rules become obsolete. If CEOs continue to run their businesses by those old rules, their businesses (and themselves) run the risk of becoming obsolete. To prevent that, strategists must continually update their mindset to stay in tune with the rules of the times. In my opinion, we seem to be at a point where the rules of strategy are shifting again. This would be the third major set of rules during my adult lifetime. If the rules are changing as I think they are, then it is time for strategists to update their mindset again. 1. Positioning: The idea behind positioning was to convince consumers to associate your product/brand with being the superior solution for a meaningful problem. Make the problem and your solution inseparable in the consumer’s mind so that no other brand can unseat you as the best way to resolve the problem. For example, different brands of toothpaste became associated with different solutions: Crest for getting rid of cavities, Sensodyne for sensitive teeth, Plus White for smokers, Colgate for healthy teeth and gums, and so on. 2. Pursuit: To hold a position over the long haul, a business had to act quickly and invest in whatever it took to maintain that position. For example, Walmart wanted to hold the position of being the low price alternative, so it would invest in whatever retail format had the advantage in holding the low price position. That is why Walmart migrated from discount stores to supercenters and added Sam’s Club. It was pursuing the winning path to hold the position. 3. Productivity: To maximize cash flow, the cost of investments in positioning and pursuit had to be less than the profit margins available from the business. Therefore companies also kept a keen eye on keeping costs down, pursuing tactics like re-engineering. As the 20th century was winding down, a new strategic ruleset was evolving. One of the key forces behind this change was the movement from selling physical products (atoms) to selling apps. This was the world which spawned companies like Google & Facebook (and all the people that wanted to copy their success). Under the new rules of that era, there was a new major strategic objective. Instead of trying to maximize cash flow over the long term, the objective was to maximize the selling price when you flipped the ownership. Not only was the idea of maximizing cash flow out, the entire idea of profits lost favor. It was okay to lose money so long as a future buyer would pay a lot for your business. In other words, your return did not come from the ongoing business but from what you could make when the business changed ownership. I spoke about that in more detail here. And the idea of managing for the long haul was also tossed out. After all, if you are going to flip the business to a new owner in a few years, your time horizon is only as long as it takes to cash out. 1. Fund: Find venture capitalists who are willing to fund your business. This is where the money comes from, not the user of the app. So, in reality, the venture capitalist is the customer of your business and the product you are selling them is access to all the people using your app. 2. Flex: In the wild world of apps, one has to keep flexing the model until a version is found that resonates with a critical mass of users. Venture capitalists of the time knew that the end product app was rarely the same as what was originally pitched to them to get the money. Therefore, the venture capitalists were betting more on the flexing ability of the founders to eventually hit on a winner rather than on the original pitch. 3. Flip: Since all the value is created at the time the ownership changes, the strategic emphasis is on optimizing the flip—who to sell to and for how much. For example, a lot of people of the time thought that Cisco Systems might be a good potential buyer. Cysco said it would only buy businesses located in Silicon Valley CA, Austin TX or Research Triangle NC. Therefore, if you wanted to flip to Cisco, your strategy would be to locate in one of those three areas. If your plan was to sell out via an IPO, the strategic emphasis was placed on maximizing those factors/metrics which would sell well in the IPO pitch. Just as people were getting used to this set of rules, it appears to be changing again before our eyes. There are many reasons for this. First, future innovations do not appear to lend themselves to start-ups in the garage. They are too complex and costly. Starting small and flipping no longer works as well. Second, the innovations of the digital age have sucked a lot of the value out of entire industries. For example, the news and entertainment industries have seen the overall profits of the whole industry shrink dramatically. When people expect things for virtually free, it is hard to rake in huge profits. A new way to move money in your direction is needed. Third, the more recent flips in general are nowhere near as dramatic as in the days when Google and Facebook flipped. If flipping is much less of a “sure thing”, investors will hold back and IPOs won’t be as easy to create. The whole idea of flipping is being questioned as a primary way to think about business. You can’t sell to investors if they aren’t investing in the old type of startups like before. So what is replacing it? I call it the three S’s. In the world of the 3 S’s, the key objective is to exert maximum control/power over an entire business ecosystem. It is no longer good enough to just have a good product or a leading app. You need to control the entire business system in which you exist. If you do not control how the ecosystem evolves, it will evolve in a way that blocks you from achieving adequate profitability. Power becomes the great goal, because power dictates where the limited amount of money goes. 1. Size-Up: This strategic approach requires thinking big. You need to not only size up the space you compete in, but the entire ecosystem your space lives within. This includes not only your traditional competitors. It includes anyone who has influence on how your ecosystem will evolve and how ecosystem profits are divvied up. It can include governments, businesses and advocacy groups. You need to size it all up to get your arms around the magnitude of the ecosystem. 2. System: Your strategy must encompass more than just how your business works. It has to encompass how you want the whole ecosystem to work. You have to strategize for the entire system. Your best individual performance will still leave you in trouble if the ecosystem defines the rules against you. Therefore, you have to make sure you have a powerful seat at the table where the rules are made. And you only get such a chair if your planning takes an entire system point of view. 3. Structure: To get the system to work in your favor, you have to help determine how it is structured. You have to put all the ecosystem building blocks together into a structure where you have a disproportionately larger influence than others. Some of these building blocks you will own. Others will be partnerships. Others will be voluntary followers of your plan because your power makes it in their best interest to comply with your wishes. 1. CVS: CVS realized that it needed to be more than just a major pharmacy/drug store chain in the US. It needed to have control over the entire healthcare ecosystem. To accomplish this, it started in 2006 by acquiring MinuteClinic, who operated health care facilities inside a retail setting. This gave CVS some control over the practice of medicine. In 2007, CVS acquired the Caremark pharmacy benefit management company in 2007. This helped them have influence over how company pharmacy benefit plans would impact CVS. In 2015, it acquired Omnicare, a leader in pharmacy distribution to institutions. And this year, CVS announced the acquisition of Aetna, one of the leading health insurance providers in the US. CVS is no longer a drug store company. It is a strong player throughout the entire healthcare ecosystem. It even changed its name to CVS Health. 2. Disney: Disney realizes it cannot just be good at parts of the entertainment system. It needs control over the entire entertainment ecosystem. As the digital aspects of the entertainment ecosystem evolve, Disney could get squeezed if it does not influence how the rules are written. Therefore, Disney just announced the acquisition of a huge chunk of 21st Century Fox. The logic is that the combined content and distribution controlled by such a combination will be so powerful that nobody will want to make any moves in entertainment without them. And Target recently announced the purchase of Shipt. Shipt is one of the largest providers of the software and trucks used in the home delivery of items like food. In this way, Target is expanding its influence in the consumer retail ecosystem by getting a big share of the out-of-store experience. The environment is always changing, so the rules of strategy must adapt. We’ve moved from the 3 P’s to the 3 F’s. Now we are moving to the 3 S’s. If you’re still doing your strategy under the older rules, you may lose your grip on the future and be left out in the cold. Don’t fight future wars with the rules from prior wars. Fight with the rules appropriate to the times. Early in my career I worked for a retailer who was considering expansion into Utah. The company was concerned, because most people in Utah at the time were Mormons (members of the Jesus Christ of the Latter Day Saints religion, or LDS). We did not know how the culture of the Mormon religion would impact our success. I was given the task of investigating this concern. A Jack Mormon is a baptized member of the LDS Church who rarely or never practices the religion, but is still friendly toward the church. Alternatively, it can be used to refer to someone that is of Mormon descent but unbaptized or non-religious. For these people, the culture of the outside world has more influence on how they lived their lives than the teachings of the Mormon Church. 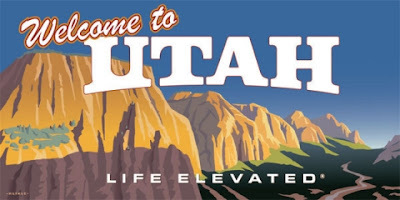 Given the preponderance of Jack Mormons in Utah (especially in Salt Lake City), the culture in Utah was not as different from the rest of the western US as one might originally think. The differences were more subtle. And they tended to be something that would benefit our company. So we expanded into Utah and had success. This phenomenon is not just limited to the LDS Church. Most religions have these two types of adherents: the zealots and the Jacks. The zealots become fully dedicated to the religion and are transformed. All that they think, do and say is influenced by the teachings of the religion. Then there are the “Jacks,” the ones who claim the religion in name, but are only minimally influenced by it. The zealots are the ones that are so passionate for their beliefs that they go out and try to change the world. These are the ones who impact the culture around them. Just look at the zealots today in Islam. People may not agree about whether their impact is good or bad, but the Islam zealots are definitely having an impact on the world. By contrast, the Jacks are more influenced by the outside culture than that of their religion. They just sort of drift along and just do the minimum necessary to keep from getting kicked out of the church. Employees have a similar types of relationships with their company and its strategy. Some are strategy zealots, who are passionate about the strategy. Everything they think, do and say is highly influenced by the strategy. Other employees are only “Jack Strategists.” They may claim to believe in the company strategy, but they act as if it doesn’t exist. The outside world influences their actions more than the internal strategy. The principle here is that the role of the strategist does not stop when the strategy is completed. The strategist needs to go to the next step and create a company full of zealots for the strategy. There are three major benefits to having a company full of employees who are zealots for the strategy. First, strategy zealots are better employees than Jack strategists. The strategy zealot has passion for the company and what it is trying to do through its strategy. For the zealot, their occupation becomes more than just a job. It becomes a mission. The strategy zealot will work harder and longer to accomplish the strategy than others, because of this passion for the mission. By contrast, the Jack strategist is mostly at the company just to get a paycheck. They work because they need to, not because they want to. Their passion centers more around their life outside of work than inside of work. They will essentially ignore the strategy and just do what is in their own personal best interest. There is not enough money in the company to afford to pay the Jack strategists to be as incented to work as hard as the strategy zealots. This is one of the advantages of companies like Google. Technology zealots are drawn to them because they have the reputation of being a place where these types of zealots can thrive. As a result, Google gets to choose from a pool of the best of the best employees. The second benefit of creating a company full of strategy zealots is that it makes the strategy self-perpetuating. When a company is full of strategy zealots, the strategy group does not have to keep reminding people of the strategy and coming up with ways to get the strategy embedding into the everyday actions of employees. The zealots are already doing that for them. The zealots have already passionately bought into the strategy, so they will naturally keep the strategic momentum going without additional prodding on your part. The third benefit of a company full of strategic zealots is that it tends to make your company’s brand more desirable to customers. Studies have shown that if all other things are equal, customers prefer to buy products from brands demonstrating a mission to do more than just make a profit. This phenomenon is just getting stronger with each succeeding generation. Zealots will show the world that your company stands for a higher purpose, and will improve customer preference and loyalty to your brand. Since having strategic zealots is so important to strategic success, creating a company full of these zealots needs to be a part of the role of the strategist. This can take three forms. Do you see the mission statement as a bunch of fancy-sounding words that look good on paper or do you see it as the call to a mission that people can be zealous towards? You won’t get people zealous towards your strategy if it has nothing in it to inspire that kind of passion. If your company’s mission is little more than just to make a lot of profits, then you will attract Jack strategists. However, if you can combine profits with attaining a higher purpose, then the zealots will be knocking at your door begging you to hire them. This year, protestant Christians celebrated the 500th anniversary of when Martin Luther nailed his 95 theses to the door of the church. This began the protestant reformation of Christianity, which changed the world. If you want a world-changing strategy, you need to think of your mission statement as being more like those 95 theses written by Martin Luther. Think of your strategic writings as something that sets the tone of a new “religious” movement. What does your company screen for when looking for new employees? If you’re like most companies, you are screening for people with the skills necessary for the position. But is that really the best way to screen for employees? People with the requisite skills might be natural zealots, but they may just be “Jack” employees. At some point, it may be irrelevant if the employee has the skills if they do not have the passion to use them to the benefit of the strategy. Therefore, it may be more important to screen for zealousness than to screen for skills. After all, it has been shown that companies can teach people skills. However, it is almost impossible to teach people passion. As a result, it is easier to hire people with natural passion and teach them the skills than it is to hire those with the skills and teach them to have passion. So how much input does the strategist have in your company’s hiring process? Are you screening for people who would naturally have more zealousness towards your strategy. If you aren’t, then you are missing a huge opportunity. As mentioned earlier, creating the strategy should be just the beginning of the role of the strategist. The next step is to convert Jack strategy employees into strategy zealots. This is more than just making sure everyone knows what the strategy is. It is making people so believe in the strategy that they are willing to become zealots for it. Are your strategy meetings more like a church revival meeting or more like a dull review of stacks of words and numbers? Stacks of words and numbers do not inspire zealots. Inspirational stories do. Have you turned your strategy into an inspirational story that motivates zealots? Just as there are both dedicated Mormon zealots and Jack Mormons, there are those who are dedicated strategy zealots and “Jack” strategists. Successful companies tend to have a higher proportion of strategy zealots. These zealots make a company more successful because they tend to work harder, they are more committed to following through on attaining the strategy, and they make a company more desirable to its customers. c) “Evangelize” their company in order to convert more Jacks into zealots. There’s an old saying that “Culture eats strategy for lunch.” The implication is that cultural norms have more impact on how your employees act than what your strategy says. Well, that may be true if your company is full of Jack strategists. But if your strategy becomes a true mission, it will form its own culture. The zealots will then make sure that this new culture replaces the old cultural norms. When that happens, strategy will eat culture for lunch. Learn more about the Planninga From Nanninga consulting business by clicking here. Click here for Strategy is Like Barbeque Sauce.